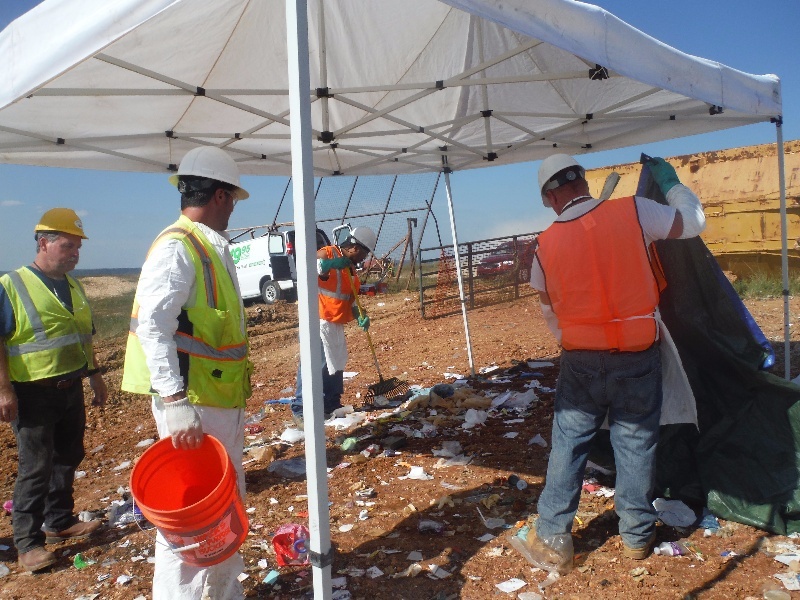 The Missouri Department of Natural Resources (DNR) has sponsored statewide waste characterization projects on two occasions dating back to 1996. In 1996-98 and again in 2006-08, DNR has performed comprehensive studies to manually sort residential and commercial wastes at disposal facilities across the state, and also to survey construction and demolition and industrial waste loads to understand the range of solid wastes being disposed in Missouri's landfills. MSW Consultants was retained in 2016 to conduct a study to update the previous information by performing two seasons of manual sorting of Municipal Solid Waste loads as well as a season of Visual Surveying including gate surveys and field evaluations of Construction, Demolition and Industrial type loads. Fifteen landfills and transfer stations are involved for each phase of the project, some being visited for both phases, with a total of twenty-two facilities involved overall. Eight samples of 200-250 pounds each are hand-sorted into 48 material categories during the MSW Manual Sort visits at each facility. During the Visual Surveying phase, loads are gate surveyed one day to cover the population of all vehicle and load types utilizing the location and a second day is spent quantifying the material types comprising sample loads evaluated at the working face. Data from both Manual Sorts and Visual Surveys is uploaded into proprietary software for QA/QC checks, to analyze aggregately and use in reporting. The field data collection for this project will conclude in mid-June and the final report delivered by the end of August, 2017.